You can enjoy warm sunny days and light evenings as soon as spring hits Mallorca. As the largest island in the Balearics, it’s not just the beach resorts that get so many visitors. There are also a wide range of hiking trails and walking routes for you to explore, allowing you to take in as much of the island as possible. During the months of March, April and May, Mallorcan temperatures tend to vary between 17ºC and 22ºC, with it feeling positively spring-like throughout the days. And as the average hours of sunshine per day starts to increase, why wouldn’t you want to take advantage of the extra daylight? Whether you’re going solo or with a bunch of family and friends, choose one of the many Mallorca hiking routes and walking trails for the perfect spring day out. Soller is perfectly situated between the mountains and the sea near the north west coast of Mallorca. It’s an ideal spot for hikes as there is a wide range of routes for you to choose from. Wander around the picturesque villages that surround Soller by exploring the region’s circular routes. These are the kind of walks that are perfect for those who prefer walking on flat paths as opposed to mountainous terrain as you can stop for a quick drink or bite to eat before ambling on. As you’ll mainly be walking along old bridle paths, the routes surrounding Soller and nearby villages - including Fornalutz and Biniaraix - tend to offer easy routes that are also exceptionally beautiful. Located in the Mediterranean Sea around 10km off the south east coast of Mallorca you’ll find the Cabrera Islands. Small and uninhabited, this unique National Park is a haven for wildlife and houses a ruined castle, making it an incredibly popular place to go for a stroll. It features impressive cliffs and numerous tiny coves, many of which can be seen on the various walking routes available on the island. Two of the most popular hikes include an 11km (7 miles) walk to the lighthouse or a 7km (4 miles) hike to La Miranda. The main island was once home to a prison camp, which held French prisoners during the Napoleonic Wars. It has also previously been used as a military base. If you’re near Pollença, walking the Puig de Maria hill route is something you’ll more than enjoy. Once there, you’ll be astonished by the awe-inspiring panoramic views on offer. Though only a 2km walk from Pollença itself, some parts of the path can turn quite steep in places. Despite these few inclines, the walk is relatively easy. At the top there is the historic sanctuary turned hostel, the ‘Santuari de la Mare de Déu del Puig’. Here is where you can top up with some food and drink or even stay the night if you really want to make the most out of this adventure. 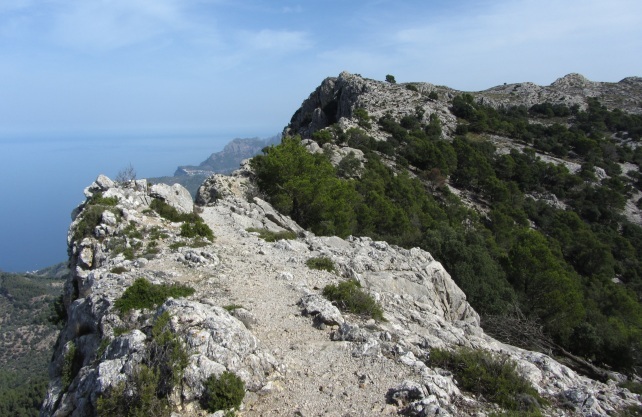 As a route of around 7km, walking from Alcúdia to La Victòria Hermitage will provide you with some of the most spectacular views known to man. Look over the bay of Pollença and the Formentor peninsula from the 14th-century chapel to be truly amazed. To get up close and personal, take a trip down to one of the numerous coves. Indulge in a spot of swimming and feel fresh from the cool waters. If you want to make the most out of your trip, why not take advantage of one of the many boutique accommodation options. Situated on the top of Puig d’Alaró are the ruins of the castle of Alaró. You’ll be surrounded by steep cliffs, but rest assured knowing that this adventure isn’t as strenuous as it first seems. It should take around 2-3 hours for you to rise into the ruins, and you’ll be hit with stunning views over the Tramuntana mountain range from the moment you reach the top. On your way up there, you’ll be able to see right across the plains of Mallorca, so it really is one worth doing. Put on your walking boots and tackle the difficult trail through the canyon if you feel up to it. The route follows the Torrent de Pareis Gorge from Escorca to the sea and comes out on the sandy beach at Sa Calobra. Despite it being one of the most well-known walks on the island, it’s not one for the faint-hearted. Even the fittest, most athletic hikers have struggled here as it involves 5 hours of scrambling over boulders and squeezing through narrow gaps. However, if you manage to come out of it at the other end, it’s totally worth it. Please note that due to the location, there is a high risk of flooding in the winter. 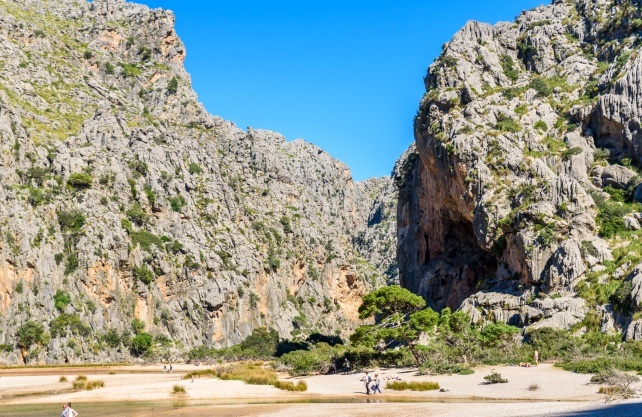 This means that the Torrent de Pareis Gorge Walk should only really be attempted between May and September, making it ideal for a spring hike. 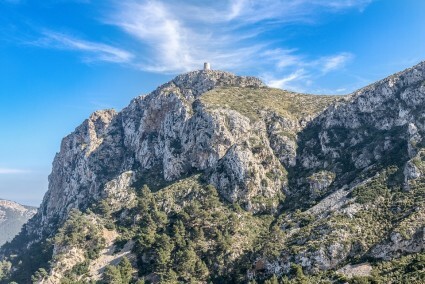 Though it may not be the highest peak in Mallorca, Puig de Massanella stands at 1,364 metres (4,475 feet) above sea level, making it the highest accessible peak on the island. Once you reach the summit, you’ll experience breathtaking views of Mallorca itself and Puig Major, which is the highest mountain and also a military zone. Though there are a few starting locations, the path from Lluc Monastery is probably one of the most challenging. The circular route starts in an oak forest and also involves the option of climbing to the summit of Puig d’en Galileu, which is worth it if you’re feeling up to the challenge. 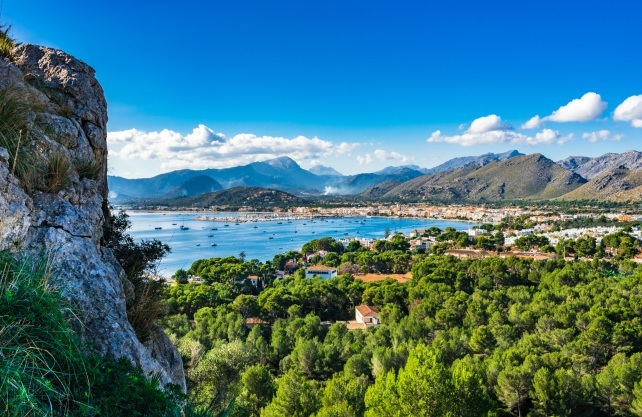 If long-distance walks are your thing, then the dry stone route from Port D’Andratx in the southwest to Pollensa in the northwest is one that shouldn't be missed. At an epic 135 kilometres, you’ll get to wander through the Tramuntana mountain range, which is a UNESCO World Heritage Site. Generally, the walk is split into 8 sections, with some parts being noticeably easier than others. As it’s such a lengthy walk basically from one side of the island to the other, there are various stop off points along the way where you can spend the night and refuel. If long walks with plenty of uphill climbs are what you love, then the route from Felanitx to the Monastery of San Salvador is for you. 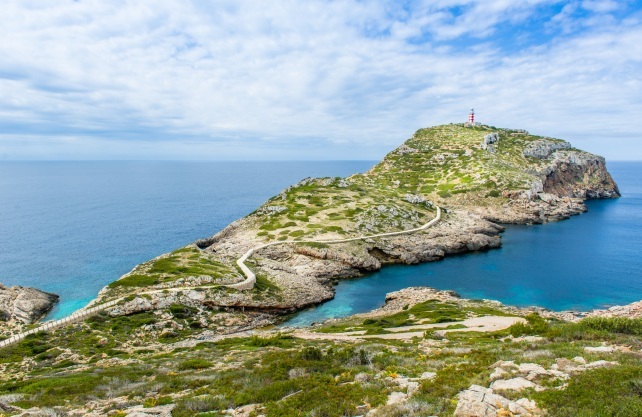 This 12km trek is a challenging trail and offers walkers with views of the south eastern coast of Mallorca as well as the island of Cabrera. It’s not for the fainthearted but it’s definitely worth it if you’re feeling up to it. Experienced walkers love the Archduke’s Trail because of the challenge it gives them. Starting from Valldemossa, the trail - which was built by Archduke Luis Salvador - features paths that reach heights of nearly 1,000m. If you’re feeling up to the test, the circular route is one to be added to your bucket list. If you choose this path, you'll be well-rewarded along your way thanks to the breathtaking mountainous backdrops that can be seen along the way.